. . . the REAL rulers of the Earth. . .
By nearly any measure, the most successful animals on the planet are the arthropods. They have conquered land, sea and air, and make up over three-fourths of all currently known living and fossil organisms, or over one million species in all. Since many arthropod species remain undocumented or undiscovered, especially in tropical rain forests, the true number of living arthropod species is probably in the tens of millions. One recent conservative estimate puts the number of arthropod species in tropical forests at 6 to 9 million species (Thomas, 1990). Arthropods range in distribution from the deep sea to mountain peaks, in size from the king crab with its 12-foot armspan to microscopic insects and crustaceans, and in taste from chocolate covered ants to crawfish jambalaya and lobster Newburg. Despite this unbelievable diversity, the basic body plan of arthropods is fairly constant. Arthropods have a stiff cuticle made largely of chitin and proteins, forming an exoskeleton that may or may not be further stiffened with calcium carbonate. They have segmented bodies and show various patterns of segment fusion (tagmosis) to form integrated units (heads, abdomens, and so on). The phylum takes its name from its distinctive jointed appendages, which may be modified in a number of ways to form antennae, mouthparts, and reproductive organs. Click on the buttons below to learn more about the Arthropoda. You can navigate deeper into the arthropod groups by selecting Systematics! Information and images of arthropods are available from the Clemson University Arthropod Collection. The Tree of Life at the contains additional information on the systematics of the Arthropoda. Source: Thomas, C. D. 1990. Fewer species. Nature 347: 237. 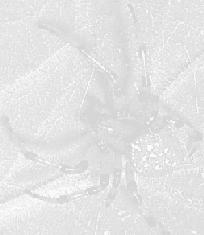 Public domain image of tarantula courtesy of Wikimedia Commons.